The A/C is cranked and the sweet tea is flowing. Our IMACS Hi-Tech Summer Camp, where kids solve logic puzzles, build electronic circuits, and learn how to program, is in full swing. Summer has definitely arrived at our headquarters in sunny South Florida. Did you ever notice how people from other parts of the country refer to it as “Southern Florida?” Wonder if they say “South California?” Anyhoo, we asked three members of our IMACS family to share their favorite math- or science-related books and movies for our completely informal, very unofficial recommended summer reading and viewing list. They say you can tell a lot about a person by the media they consume, so here’s your chance to get to know Lisa Cunningham, Danielle Ernst and Stephen Flegg. Lisa has an Ed.D. in Curriculum and Instruction from Florida International University and worked many years ago for us as a part-time math enrichment instructor. In our search for someone to head up our ISLAND training, we called Lisa to see if she knew anyone who would be interested. After hearing the job description, she said “What about me?” Lisa jumped at the opportunity, and we are so lucky she did. She also has a daughter who takes math enrichment with us. I also really like Good Will Hunting. What I like about that movie is that it portrays a brilliant mathematician who would have attended a Title 1 school where, unfortunately, there aren’t as many enrichment opportunities available to foster intellectual and academic growth. As a teacher, it is rare to come across that natural ‘genius’ student who has not been exposed to such opportunities. “I’d love to be part of the blog! My favorite math book is called An Imaginary Tale by Paul J. Nahin. I read it right after I took a complex analysis course while I was studying abroad in Australia. My professor there was so enthusiastic about the subject that I couldn’t help but enjoy it as well. I found it extremely interesting to read and learn about about a branch of mathematics that only exists in the ‘imaginary’ sense. Stephen started teaching for us part-time in 1999 right after he received his BS degree in Physics from Florida Atlantic University and is now on our full-time staff. He teaches our most advanced math enrichment classes and also developed a beginner chess class for our homeschool program. This summer, in addition to teaching the electronics class for our summer camp, Stephen is involved in writing lesson plans for ISLAND. We’re very fortunate that many of our instructors such as Stephen love teaching for us and have been with us for a very long time. “I found it tragically difficult to find some work that would be held up above another as my favorite. In the book category I can give you two books, the first being The Black Cloud by Fred Hoyle; yes, the same Fred Hoyle who made fun of the Big Bang with the name ‘Big Bang,’ and the name then stuck. It is an old novel but very well done and falls into the hard sci-fi genre. Although he takes cheap shots at the Big Bang theory and, by doing so, messes up the theory of evolution, the rest is solid. Those sound like major flaws but not in the context of the story. The next book is called The Age of Wonder by Richard Holmes. This book is a biography of the intellectual history of the 18th and 19th century. I haven’t finished it yet, but I’m loving it nonetheless. As for movies with math and science, there are many but one seems to always come to mind – 2001: A Space Odyssey by Stanley Kubrick. I was very young the first time I saw the movie, but even at a young age I recognized the attempts to make it realistic even if I had trouble following the story. This became even more obvious when compared with Star Wars, which I also loved as a child. No sound in space, centrifugal force, orbits and many other features awed me then and now. Lisa, Danielle and Stephen – thanks for sharing! You’ve given our fans a lot of good stuff to wrap their minds around this summer. Do you, dear reader, have a favorite math- or science-related book or movie that you would like to add to the list? Add IMACS to your list of top picks. Sign up for our free aptitude test. Follow IMACS on Facebook. IMACS’ Senior Curriculum Developer, Edward Martin, recalls a lesson learned from his own father about the virtues of honing one’s mental agility with games, an exercise that is particularly effective for developing abstract thinking skills. When he was in a reflective mood, my dad occasionally revealed interesting episodes from life as a younger man. He recalled, for example, for several years riding the train to work in company with two fellows who spent the hour-long journey either with eyes closed or staring into space while sporadically uttering cryptic phrases such as “D five to B six.” Puzzled by this behavior, after a few weeks my dad asked them what they were doing. 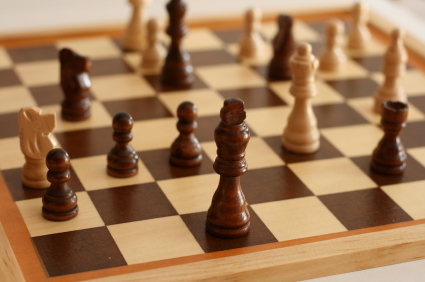 It turns out that they were playing chess…without a board! The amazing thing was that they were usually able to agree upon the outcomes of these wholly-imagined contests. Few of us are blessed with such powers of concentration. However, the ability to concentrate is something that can be trained. As with many such faculties, it improves with use. Even 8- or 9-year-old youngsters are capable of feats approaching that of my dad’s glassy-eyed chess-playing companions. Next time your energetic third or fourth grader is acting up in the car, challenge him or her to a game of tic-tac-toe…without the board. Brush aside any incredulity that such a thing is possible. Just jump in and say, “I’ll go first. I’ll be X and I’ll put my first X in the top left corner.” Before you know it, your recalcitrant fellow traveler will be caught up by the spirit of competition and will be totally focused upon the goal of putting you in your place for having the temerity to issue such a challenge. In this quick and simple little exercise, you achieve: honing concentration skills, thinking about and communicating grid-based information, and peace and quiet. It’s a win-win situation! What are some of the mind-stretching games that you play or played? Have you imagined yourself taking an IMACS course? Sign up for our free aptitude test. Play along with our weekly IMACS logic puzzles on Facebook. Guest blogger and former student, Natasha Chen, shares her experience on parenting a mathematically precocious child. First, this is not a blog about how to tell if you have a mathematically talented child. There are many great resources out there by people more educated on and experienced in that topic. (I’ve found the Hoagies’ Gifted Education Page, and the book “Developing Math Talent” by Assouline and Lupkowski-Shoplik very helpful.) 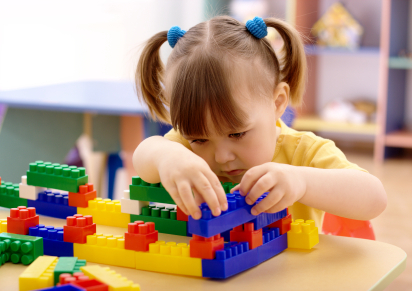 If you think you have a mathematically gifted preschooler, then you might have discovered that it’s hard to find a program for gifted children that caters to this age group. These are just a few tips I’ve found myself sharing with other moms of three- to five-year olds that you might also find useful. LEGOs, Tinker Toys, Lincoln Logs, K’nex, Magna-Tiles, tangrams, blocks of all shapes and sizes. All of these and similar toys are great for stimulating different areas of mathematical thinking at different stages of childhood. First, you can play all kinds of sorting games. Group the red pieces over here. Group the square pieces over there. Oh no, what do we do with the red squares? We can put them in the middle! All the rest go on the outside. Voila, introduction to set theory. Then there is visual-spatial reasoning. Have you ever observed a preschooler building a structure? She’s often down on her hands and knees looking at it from this way and that way, trying to figure out where to put the next piece. Seems like a pretty good way to encourage the ability to envision objects from different angles. And a message to parents of gifted and talented girls from a former girl: We love, Love, LOVE these kinds of toys! Dad: “Your mom and I don’t play with the crayons, so either you or your brother drew on the wall.” Child: “Not me!” Dad: “So who was it then?” Child: “He did it!” Wait, wasn’t that just [(P or Q) and (not P)] implies Q? Mom: “If you want me to take you to the park, you need to sit down and finish your lunch.” Child is still running around. Mom: “Okay, I guess we’re not going to the park.” So now we have [(P implies Q) and (not Q)] implies (not P). Dad: “We’re cutting out junk food in our family. We all need to eat healthier.” Child spies Dad sneaking some barbecue potato chips. Child: “Hey, you said we couldn’t eat that!” Dad: “Uh, I’m not really your dad, so I’m not in the family?” Busted! See, logic is really the underpinnings of childhood discipline. Hmm, let’s leave that one for a different blog. As you have similar kinds of enriched dialogue with your little Fermats, keep in mind that at this age there is no need to make a big production out of any of these lessons. Little ones generally don’t have the patience for a mini-lecture, nor do they seem to really embrace new information delivered that way. Mathematically gifted and talented youngsters will welcome these experiences as part of rhythm of their lives. It just takes a little more conscious effort on our part as parents to disguise the learning as play. If you have any more tips, please leave a comment. I could use all the help I can get! Start the ball rolling with IMACS by taking our free aptitude test. Follow IMACS on Facebook. As news reports will remind you daily, education today in the United States is facing some of its most serious challenges. While extracurricular activities like music, art, and physical education were the focus of past budget cuts, the more recent crisis is taking aim at classes for advanced and gifted students. The Wall Street Journal recently published an article about Advanced Placement students taking courses online after the traditional AP classes were cut from their schools. So if you find yourself seriously thinking about online classes for your child, whether out of necessity or choice, how do you get the appropriate credit at his or her school? The first challenge is to find a quality program with quality people. You’ll see why this matters beyond the obvious reasons as you read the below advice that we give to the parents of our students. Officially approved course. Whenever you are trying to establish credibility for someone, it helps to have someone who already has credibility vouching for that person. That’s why in a courtroom, some people make good character witnesses, and others, not so much. It works the same way with online high school classes. Teachers and administrators just don’t have the time or resources to review in detail every program that is presented to them for consideration. So it helps if they can look to an authoritative body that has already done the analysis. When the College Board, for example, audits an Advanced Placement curriculum and lists it on their Web site as an approved online course, you know you’ve found a program that not only meets the rigorous requirements of the audit process but also puts you in a good starting position to make the case for credit. For online classes not specifically designed to prepare for AP exams, there are respected institutions that schools look to for help in assessing their quality. For example, check out educere.net, which is used by many districts throughout the US to provide courses not offered through their schools. This and similar portals review online courses according to their own set of strict criteria. Track record. There are two different types of track records to look for. Obviously, you want a program with a history of excellence. When you find one with core people and a curriculum that have stood the test of time, you know you’ve probably found a quality provider. In addition to looking for longevity, ask to speak with parents of current and former students. Ask about alumni. It’s nice to hear that this one went on to Harvard and that one went on to Yale, but let’s get real. These might have been smart kids who would’ve done that anyway. The real question is, what more have these students been able to accomplish as a result of taking this online course that they would not have otherwise? When an online provider can stand up to this kind of scrutiny from you, they are more likely to do the same when being considered for credit by your child’s school. 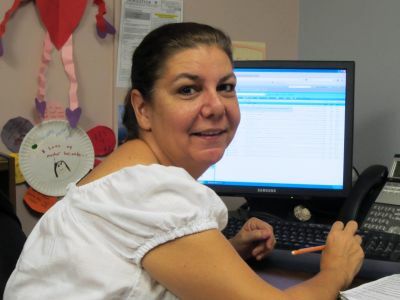 The second kind of track record is whether or not the provider has successfully assisted parents in getting their online courses accepted for credit. While the exact process will differ from school to school, the essence is likely very similar. School personnel need to be persuaded that the online course material meets their standards for the credit you are seeking. Just like with a good attorney, experience goes a long way when offering proper counsel to parents on what evidence to present to whom. Think of it this way. If you’re on trial, do you want a lawyer whose past clients are all in jail? I think not. Find an ally. No matter the course, when trying to receive approval for credit, you absolutely need to find someone at your school who is forward looking to discuss this with. It could be a guidance counselor or other administrator. Ideally, it would be someone who’s handled similar situations before with positive outcomes. This is the person who is going to help you navigate the path to approval. 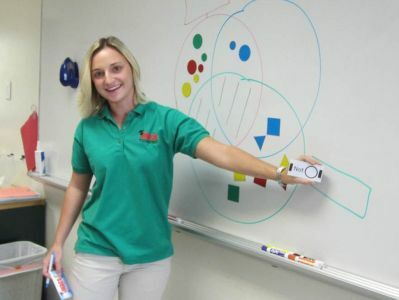 If you’re fortunate, the process might involve meeting with the appropriate decision maker from the school; sharing detailed information about the course curriculum, online provider’s history, and any official stamp of approval from an authoritative body; and presenting examples of your child’s work, including scores and grading methodology. More typically, you’ll need several meetings with the same or more people to address follow-up questions and requests for additional information. As you might imagine, it behooves you to keep a detailed file right from the beginning, and also to be nice. Not a pushover, but definitely nice. Communication. So you’ve presented your file full of evidence, and your school is still not sure about whether to give your child credit. What do you do? It may be time to step back from being the information middleman and let the educators talk directly to each other. Do your part to introduce and facilitate communication between your school’s decision makers and the right people from the online course provider. That would be your child’s principal instructor (a quality program would have assigned one) or someone else who can speak intelligently and in detail about the course curriculum. If you are successful in gaining credit for the online class, then counselors or administrators at your child’s school will want to stay in communication with you and/or the online course provider to get regular updates on your child’s progress. Communication is essential throughout this whole process, so make sure you choose a provider who is willing and able to make themselves and the necessary information available whenever they are needed. What has worked for you in trying to get an online course approved for credit? Share your best advice here. Maximize your credit with an IMACS course. Take our free aptitude test. Play along with our weekly IMACS logic puzzles on Facebook. 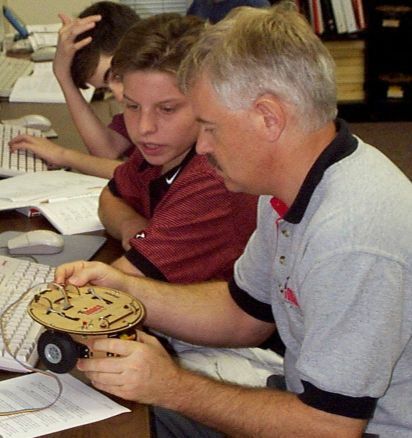 Iain Ferguson works with an IMACS student to program a mobile robot. Today, we’re chatting with Iain Ferguson who – in addition to being IMACS’s senior curriculum developer for the computer science program – is the guy behind the sophisticated technology that runs our online computer programming classes. Iain has taught these courses as well, and so brings with him the experience of having seen what works in the classroom and what doesn’t. Q: Why does your Introduction to Computer Science course use the Scheme programming language? Isn’t the Advanced Placement exam in Java? A: We start off with Scheme because it’s the most effective for helping students to understand the fundamental concepts of computer science that are common to all programming languages. And we’re not alone in this choice. Graduates of the some of the top universities, including MIT, Yale, Princeton, Johns Hopkins and UC Berkeley, were first taught to program in their freshman year using Scheme. What we’ve found over 20 years of teaching this course is that if you throw a new student straight into Java, or whatever language the AP exam covers at the time, he or she can easily get mired in its complicated rules of syntax. If you simultaneously try to make a student learn the fundamentals, which are arguably more important, some of those fundamentals just won’t be understood, or they’ll be understood incorrectly. And so the students try to move on to more complicated programming assignments, and they’re hampered by a false understanding of the underlying abstract thinking. Scheme’s syntax is simple and natural. So it takes our students very little time to pick it up. They use their mental energy instead on developing a deep comprehension of the the abstract mathematical thinking involved in programming. Applying that way of thinking to concrete computer algorithms is then rather trivial for them. Q: Beyond doing well on the AP exam, how do you know that this approach of teaching Scheme first is working? A: We hear from a lot of our former students once they’ve gone on to university about how easy their classes are thanks to what and how they learned here. One of my favorite stories is of a student named Erik who went to Virginia Tech. He was taking Computer Engineering in a class of about 600 students, and the first exam was designed to weed out about half of them. So Erik completed the test in 10 minutes with a perfect score. The next day the professor called him in and accused him of cheating. Well, of course, he hadn’t cheated and when he said so, the professor gave him a similar question that was solved just as quickly. Then the professor wanted to know how it was possible for a freshman to have such a deep understanding. 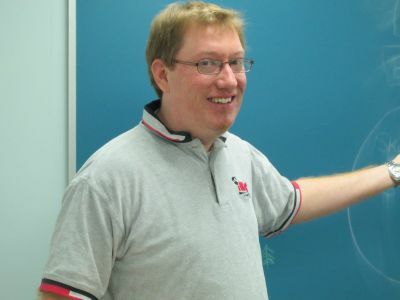 Erik told him about learning to program with Scheme, and that was enough to convince the professor that not only had Erik not cheated but that he was also the strongest student in this class of 600. Q: If Scheme is so beneficial, why don’t more high schools offer it? A: Their resources are very limited, especially in this economic environment, and the demands on teachers’ time is rather significant. As with most university-level courses, it’s unrealistic to ask high schools to even consider putting resources towards preparing and teaching a class like this. If you really want to do it at a high level, you need instructors with an extensive background in university-level computer science and extensive training in teaching advanced subjects to young adults. Plus you either have to develop the appropriate curriculum or find it and license it. So you’re looking at a lot of time and expense, both of which are, unfortunately, in short supply at the typical high school. Sounds like a guy who knows his stuff! What language did you use in your first computer programming class, and did it leave you with confusion or clarity? P.S. If you’re ever in South Florida and want to play a game of Nim, stop by our offices and ask for Iain. He will destroy you, and it won’t hurt a bit! Make IMACS a part of your program. Sign up for our free aptitude test. Follow IMACS on Facebook.